U Aung Naing Oo was transferred to be director general of the Office of the Union Investment and Foreign Economic Relations on March 29. He is to hold both positions concurrently, The Myanmar Times understands. It is under his guidance that the 2016 Investment Law and 2017 Companies Law "achieved their intended outcome," said Nishant Choudhary, co-chair of EuroCham Myanmar`s legal group. For Mandalay Technology managing director U Zaw Naing, U Aung Naing Oo`s "excellent leadership at DICA" has made a big difference for the private sector. 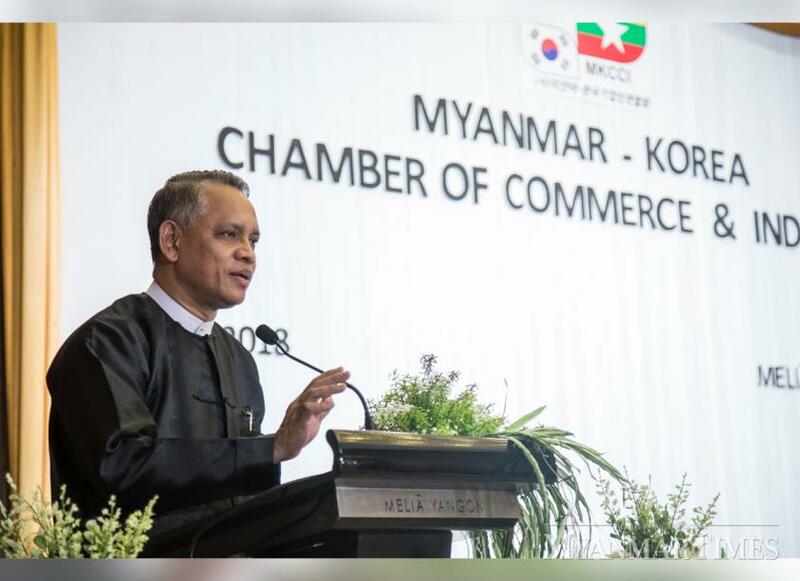 "Business people in Myanmar see him as a key driver for corporate reform, including MyCo Online Register, the new electronic registry system, and the digitalisation of the investment application process. He will be able to make a bigger impact on economic reform in his new position, and brings with him a wealth of experience to support the minister," the businessman commented. The investment ministry was established last November. Two departments formerly under the Ministry of Planning and Finance - DICA and the Foreign Economic Relations Department - were brought under the new body. The move represents Daw Aung San Suu Kyi`s belated efforts intended to win support for her much-criticised handling of the economy. The National League for Democracy-led government is facing huge challenges from its economic governance, especially in the implementation of new policies and laws, and investor confidence is further hampered by sluggish reform and the northern Rakhine crisis. The country`s GDP is expected to grow by 6.6 percent in 2019 and 6.8pc in 2020, according to the Asian Development Bank. U Thaung Tun, who`s also the Myanmar Investment Commission chair, last November pledged to establish a "single-window" system for investment proposals, based on a list of standard operating procedures agreed on by relevant ministries. This is welcome by investors but yet to materialise. He is confident that the permanent secretary will work effectively with development partners, foreign governments and multilateral institutions to "mobilise external resources in order to assist Myanmar`s transition". "I am certain that U Aung Naing Oo would further work towards improving the business landscape and regulatory environment," Mr Choudhary added.